S M Gold IPO Overview - S M Gold is principally engaged into the business of manufacturing and wholesale trading of mangalsutra jewellery. Besides mangalsutra jewellery, a minor part of business also includes other jewellery`s like Rings, Chain, Earrings, Ear Chain, Nose-rings/Nose pins, waist belts, Anklet, Zuda, Toe Ring, Pendant Set/Pendant, Bracelet and Bangles., wedding Jewellery, festive Jewellery. The jewellery sold by the company is sold under the brand name of “S. M. Gold – the House of Mangalsutra”. Its strength is in manufacturing Mangalsutra and Antique Jewellery. However, in order to cater to customers taste, preference, choice and the ever changing trends in the jewellery, it offers its customers a wide variety of traditional, Indo-western, & modern jewellery also. Its jewellery is mostly traditional in style and is handmade by workers. It has an in-house designing team which designs the mangalsutra and other jewellery`s in traditional, modern and indo-western style. Apart from manufacturing jewellery ourselves, it also get its mangalsutra and other jewellery`s manufactured through job workers located in Ahmedabad, Rajkot, Kolkata and Mumbai. The raw material and design is provided to these job workers by the company. 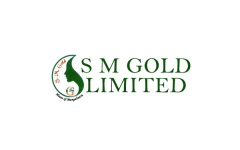 S M Gold IPO allotment status is now available on Karvy Computershare’s website. Click on this link to get allotment status.